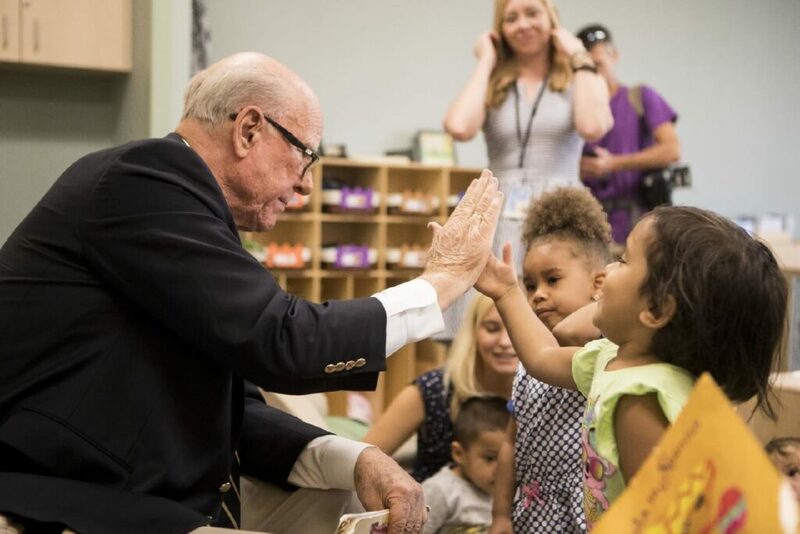 KANSAS CITY, Kan., Aug. 8, 2016 — When Sen. Pat Roberts sat down with preschoolers today at the Children’s Campus of Kansas City (CCKC), he was focused on much more than story time and snacks. 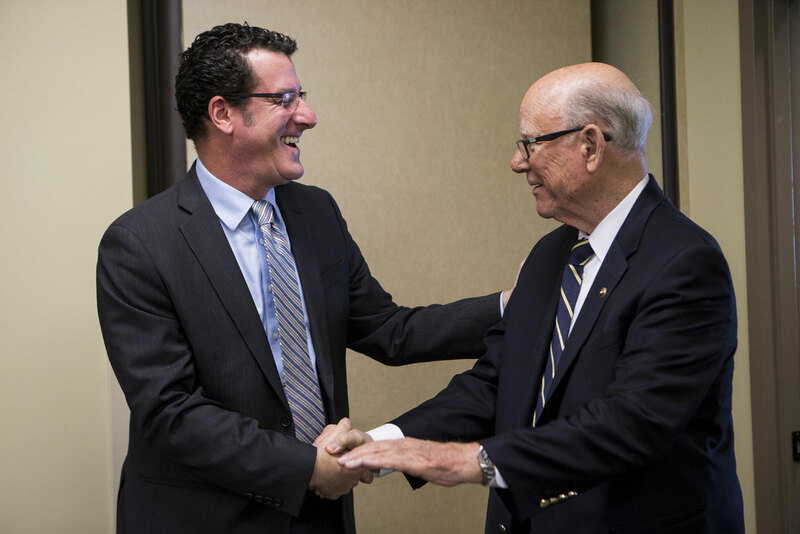 The senior senator from Kansas dropped in on the first day of school to learn more about CCKC’s model for closing the achievement gap among low-income kids—starting with a unique community facility designed specifically for young learners. CCKC is home to three non-profit organizations that provide a continuum of services focused on the health and wellness of children from birth to age five. That includes nearly 150 preschool students participating in CCKC’s Educare program, which lays a strong educational foundation for children who might otherwise be derailed by the deep and lasting implications of poverty. 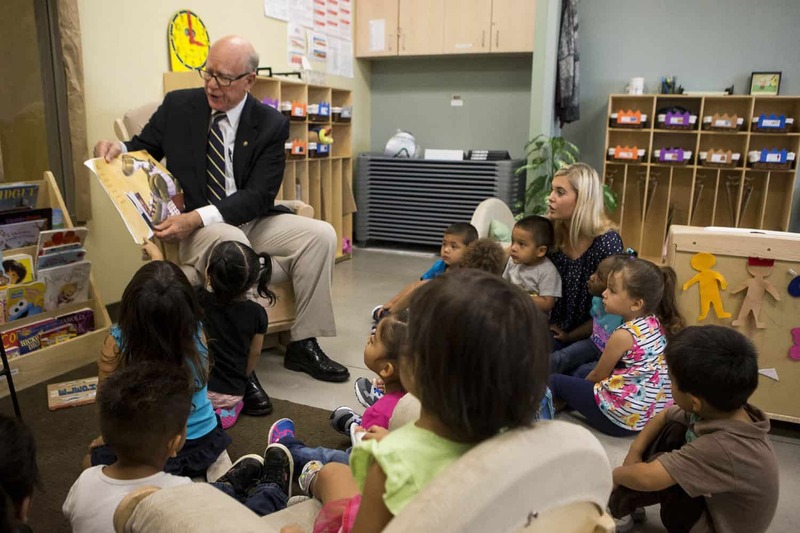 Sen. Pat Roberts (R-KS) reads to preschoolers at Children’s Campus of Kansas City (CCKC), where nonprofits offer a continuum of education, family and health services focused on kids from birth to age five. Sen. Roberts met with CCKC staff to learn why facilities tailored to young learners are so important to their future, and why programs like the federal New Markets Tax Credit are so critical to building them. Funding gaps almost derailed CCKC before the first brick was laid—even though expanding access to quality early education programs and services has been a local priority, notes Heather Schrotberger, director of Project Eagle, the University of Kansas Medical Center program that operates Educare Kansas City. In other words, space matters. According to a report published by the National Institute for Early Education Research (NIEER), a facility’s layout, size, materials and design features can improve program quality and contribute positively to child development, while a poorly adapted and overcrowded environment undermines it. The physical configuration of early care and education spaces directly affect adult/child interaction and influence how children grow and learn. But financing high-quality, appropriate space for young learners – much less space that can also accommodate other family services, as is the case with CCKC – is not easy. Early fundraising and philanthropic support enabled the project to secure a conventional bank loan, but CCKC still faced a significant funding gap. The project utilized the federal New Markets Tax Credit (NMTC) program, which is designed to encourage private-sector investment in underserved communities, to fill that critical shortfall. Stephen Samuels, executive director with LISC’s Kansas City program office, notes that these kinds of investments also have significant economic benefits for the city at large. LISC helped finance CCKC as part of its comprehensive efforts to revitalize disadvantaged neighborhoods. Juniper Gardens Children’s Project – Juniper Gardens Children’s Project, of the University of Kansas, works to improve children’s developmental experiences and their academic and social achievements through research. Project Eagle – Project Eagle, of the University of Kansas Medical Center, directs multiple programs on site, including an Early Head Start program (Educare of Kansas City, serving 150 students), a Maternal Infant Early Childhood Home Visiting Program, and the Connections centralized screening and referral system for Wyandotte County. The Family Conservancy – The Family Conservancy provides mental health assessments and services, parenting education, crisis intervention, assistance to overcome poverty, and professional development to enhance the quality of early education across the community. For more on the importance of developing early childhood education facilities, read Building Early Childhood Facilities: What States Can Do to Create Supply and Promote Quality, published by NIEER and authored by LISC, or visit http://www.lisc.org/our-initiatives/education/early-childhood-facilities/. The New Markets Tax Credit was enacted in 2000 in an effort to stimulate private investment and economic growth in low income urban neighborhoods and rural communities that lack access to the patient capital needed to support and grow businesses, create jobs, and sustain healthy local economies. The NMTC is a 39 percent federal tax credit, taken over seven years, on investments made in economically distressed communities. Today due to NMTC, more than $75 billion is hard at work in underserved communities in all 50 states, the District of Columbia, and Puerto Rico. Since its implementation, Congress has made several last-minute reauthorizations, making it difficult for practitioners and communities to rely on its availability. However, Congress passed a five-year extension of the NMTC in the PATH Act, which was passed in December 2015.